I’ve been seriously slacking with the Saturday Pattern Sharing — my apologies! Friday DeStash sales have kept me busy towards the end of the week and I keep forgetting to sit down and put a pattern post together. One of these days I’ll get organized enough to take a couple of hours and hammer out 6-8 of these and schedule them to post. Maybe. My dogs desperately need new pet beds! I bought fleece and some cotton broadcloth over a year ago to make them something and I never got to it. Perhaps I should leave this pattern up on my computer as I reminder to take an afternoon and whip something up! 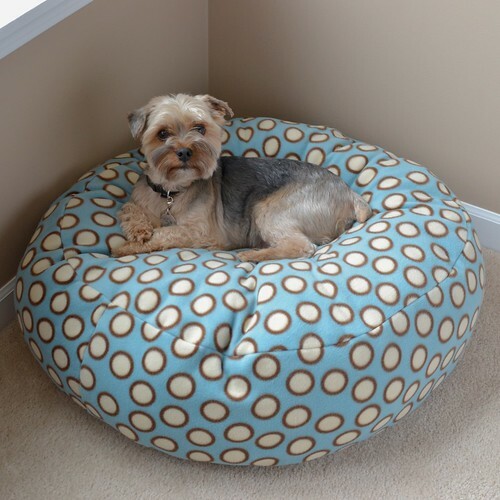 Today’s pattern is this super cute fleece dog bed by Erin over at Dog Under My Desk. This entry was posted in filed for future use, patterns, to do by Stitch To Stitch. Bookmark the permalink.